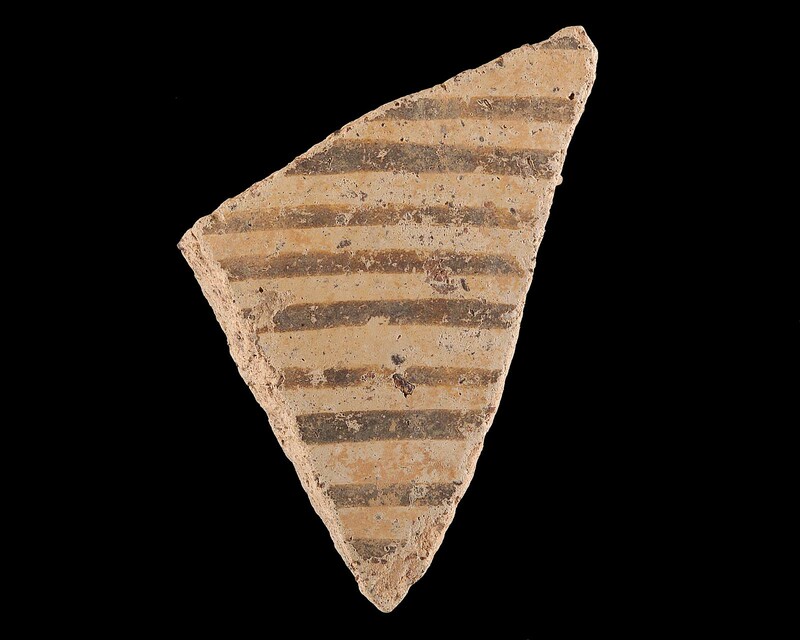 Fragment of the wall of a jug. Dark on Light Painted Ware, Koumasa Ware. Gritty buff clay with dark inclusions, pale buff slip, dark brown paint. Ten slightly curved parallel lines, perhaps set vertically.